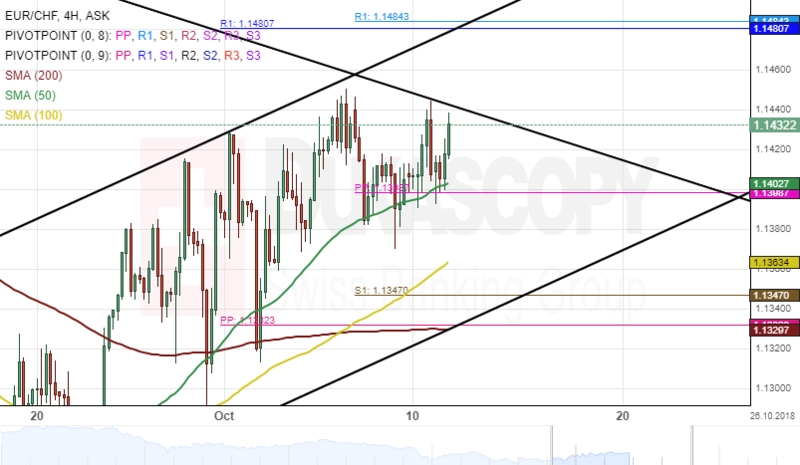 The US Dollar has been appreciating against the Swiss Franc after the currency pair reversed from the lower boundary of a narrow ascending channel at 0.9550. The exchange rate breached the bottom border of the narrow channel at 0.9894 during the morning hours of Thursday's trading session. From a technical point of view, the next target for the currency exchange rate will be near the weekly support level at 0.9834. 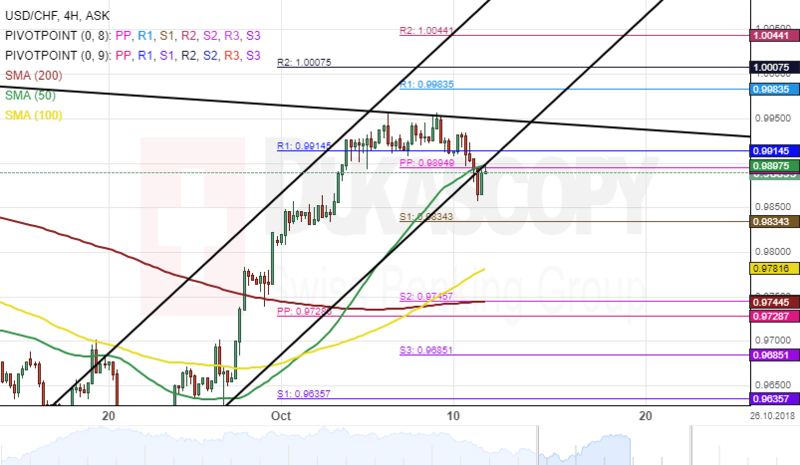 If that support level as mentioned above holds, the USD/CHF currency pair will make a reversal north towards the weekly R1 at 0.9983 during the following trading sessions. On the other hand, if the rate passes that support line, it could aim at the 100-hour SMA at 0.9776 within this session.